Turkish security forces have detained 18 alleged supporters of Muslim cleric Fethullah Gulen, considered to be President Tayyip Erdogan's foe, state-owned Anadolu Agency reported. Some of those arrested are senior police officers. In all, arrest warrants have been issued for 27 people in 13 provinces, but mostly in Istanbul. The operation is focused on former officers and police chiefs, private Dogan news agency reported. 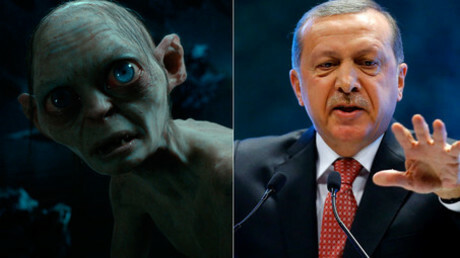 Turkish court calls for experts to establish whether Erdogan looks like… Gollum? Last month, 57 people, including senior police officers and other officials, were arrested in the western city of Izmir on the same basis. The prosecutors claimed that the detained belonged to the so-called ‘Gulenist terror group’. What might have triggered Erdogan’s rage is the corruption investigation of the president’s inner circle launched in 2013 by Gulen and his supporters in the police and judiciary. The latest arrests come a fortnight after the editor-in-chief of Cumhuriyet newspaper was arrested for alleged espionage and treason. In May, the newspaper published photos of weapons which were then reportedly transferred to Syria by Turkey’s intelligence agency. The newspaper said that Turkey had been caught doing this at least twice since 2014. A month ago, before elections which saw Erdogan’s AKP party win, two editors of a leftist Turkish magazine were detained in Istanbul for publishing a controversial cover entitled ‘The start of civil war in Turkey’. 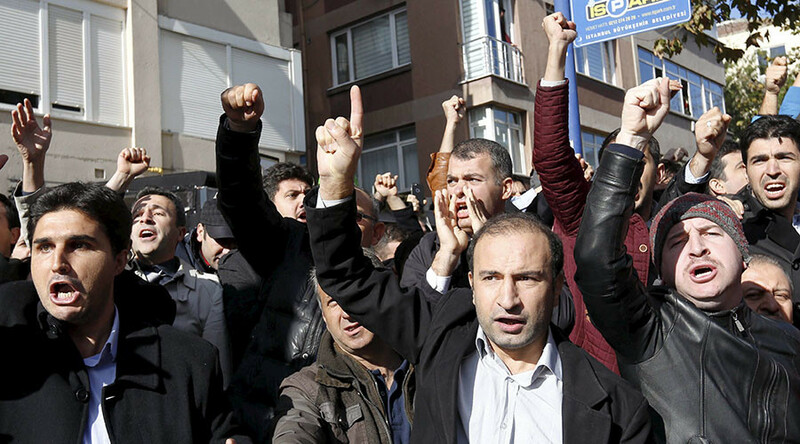 The main story reported that a potential victory for AKP would exacerbate tensions with the country’s Kurdish minority. On the same day, 58 journalists working for Koza Ipek, allegedly connected with Gulen, were fired. At the end of October, a couple of days before the elections, tensions were high: police raided the opposition TV station also owned by the Koza Ipek Holding. 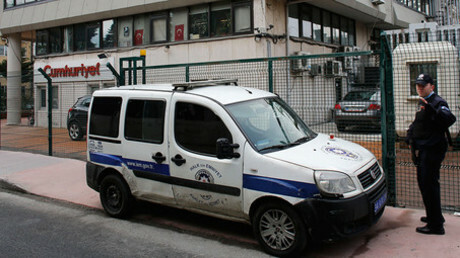 Koza Ipek’s employees were banned from entering or exiting the building, and broadcasting was halted by the security forces. Later, tear gas and water cannons used to crack down on protests that followed the raid. Large scuffles with police occurred, with dozens of protesters arrested at the scene. A day earlier, the authorities took hold of 22 companies owned by the Koza Ipek holding. The all-out detention spree on opposition didn’t stop there, though: two days before the elections, two Turkish boys of 12 and 13 were arrested for tearing down Erdogan’s campaign posters. They face four years in prison for “insulting” the president, although the boys claimed they just wanted to sell the paper.